A federal judge has thrown out two cases against GM over defective ignition switches that have been linked to at least 124 deaths. GM failed to disclose that the ignition switches in some of its cars were defective and that they could rotate to the off position, causing cars to stall and airbags to fail to deploy. The ignition switch defect was the cause of at least 124 deaths and 275 injuries. This defect prompted GM to recall over 2.7 million vehicles in 2014, including the Chevrolet Cobalt and Saturn Ion. GM has already paid an estimated $2.5 billion in penalties and settlements, including $900 million to the U.S. Department of Justice. 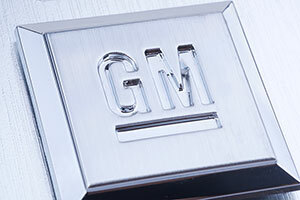 The $2.9 billion paid out by GM thus far did not resolve the current litigation. Here, the plaintiffs claimed that their GM ignition switches may have rotated from “run” to “accessory” or “off,” which caused accidents or made them worse. The plaintiffs argued that the switches then rotated back to the run position before the impact, which would explain why the airbags deployed. GM argued that the crashes at issue had other causes, including an icy road and one of the drivers being 89 years old and suffering from benign positional vertigo. Here, Furman dismissed claims by Vivian Garza, who was 19 when her Chevrolet Cobalt crashed on an icy road in February 2011, and by the son of Ruby Greenroad, whose Cobalt crashed in January 2013.